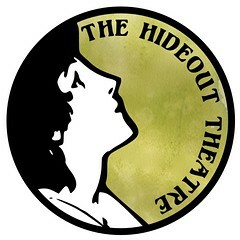 The Hideout Theatre is now accepting March/April availability for the Thursday Threefer, PGraph Presents, and The Weekender. **NOTE** There are an unusual number of festivals and special events in March and April, and as such there aren't as many performance slots to go around. The Threefer is on Thursdays at 8PM, PGraph Presents is on Fridays at 10PM, and The Weekender is on Sundays at 8PM. The Thursday Threefer features 3 troupes from all over. **Special Note** Due to a lot of special events/festivals/interruptions in March and April, there won't be any Threefer headliners with month long runs. Each week will feature a completely different group of 3 performers. We'll go back to the standard model in May. PGraph Presents is a weekly show hosted by Parallelogramophonograph. Troupes performing in this show get longer slots, typically 25-30 minutes. The Weekender features student graduation shows, strong headliners, and out-of-town guests. Show lengths will vary, depending on what is going on that weekend. You must submit availability by 11:59pm, Monday, February 17th to be considered for the schedule. This is a hard deadline. If after submitting the form you need to make a change, just fill out the form again or email your changes to roy@hideouttheatre.com. I'll only pay attention to the most recent entry for your troupe. Also, please only submit availability for a date if the majority of your troupe is available to perform.